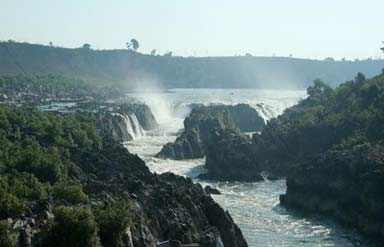 The city of marble rocks, Jabalpur is not only an important historical place, but is also renowned for the Marble Rocks ravine on Narmada River. Situated on the banks of Holy River of Narmada in Madhya Pradesh, Jabalpur is one of the largest and the most important cities in the state. 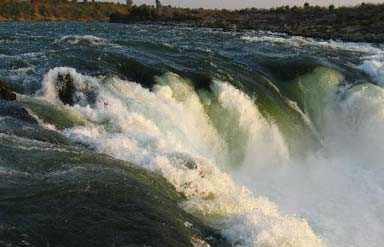 Jabalpur happens as the fast rising as a tourist destination, with its numberless sightseeing options and the places of interest. The city is enclosed by a number of historical monuments and sites such as Kanha National Park, Madan Mahal Fort and Dhuandhar. Truly there are the many places around Jabalpur that are perfect for day trips. In its past decades, Jabalpur was known as Tripuri and was governed by the Hayahaya rulers. The historic epic, Mahabharata means a lot to this city. In 1789, the city finally came under the rule of the Marathas, which was seized by the Britishers in 1817. Subsequently Britishers established the place as a major cantonment town. Thoroughly it has been a historic point in the India’s independence battle. 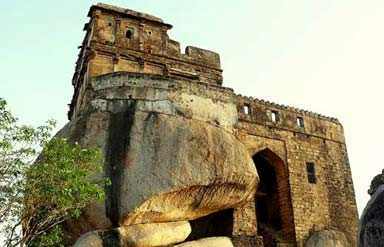 This fort is pride of Jabalpur city built in the 11th century by Gond ruler, Raja Madanshah. It is positioned on top of a rocky hill and is visible from most of the parts of Jabalpur city. Jabalpur is also famous for eroded volcanic rock formations called as Balancing Rock of Jabalpur. Bhedaghat is a marvellous site where tourists may bask the beauty of the perpendicular Marble Rocks that fringe the crystal clear placid waters of Narmada River. There is a water fall known as ‘Dhuandhar’ in Bhedaghat where droplets of water at the fall rise in a massive way, creating the illusion of vapours so powerful. This is a waterfall in the adjoining part of Bhedaghat. Here tourists may find the force of water flow and is the photogenic spot. Here the river passes through the narrow passage and produces fog and sound. Dhuandhar can also be viewed from overview through rope-way drive. Tourists may also do shopping for the marble show-pieces in Dhaundhar local market. 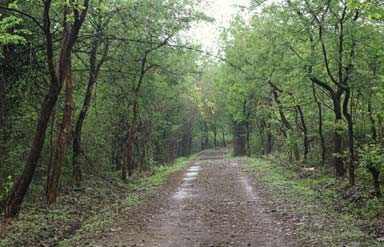 Dumna Nature Reserve is spread over an area of 1058 hectare of land on Jabalpur Airport road about 10 km from city centre. Tourists may do nature walk on this nature reserve and may see wild animals like spotted dears, Chitals, wild boar, porcupine, jackals, monkeys and many species of birds etc. Tilwara Ghat is one of the important historic places of India located on the banks of river Narmada in Jabalpur. Tilwara Ghat is one of the places where the ashes of Mahatma Gandhi were immersed. 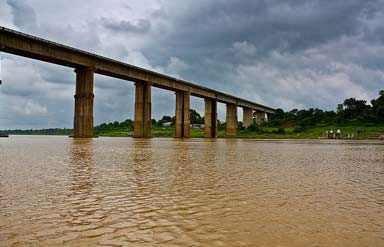 Tilwara Ghat appears out the best developed ghat among the several ghats around the Narmada river. It is just 12 km from the city railway station. The weather in Jabalpur is very hot during the summers and mild during winters. Here the best time to visit the town of Jabalpur is October and November. By Air: The nearest airport is the Jabalpur airport situated at a distance of 20 km from the main city centre. It connects Jabalpur to almost all the important cities in India. By Rail: Jabalpur is one of the major railway junctions of the Central railways and falls on the Howrah- Mumbai main line. The line connects the city to other places in India. By Road: Transport Buses from almost all cities of Madhya Pradesh is frequent to Jabalpur. 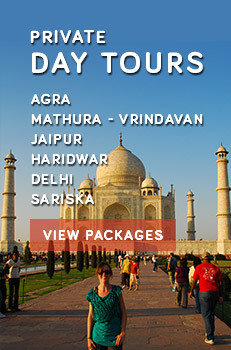 There are many modes of transport that tourists may prefer, while travelling to Jabalpur. Buses will be regularly available from all major destinations to Jabalpur. Jabalpur is an Address to Marble Rocks!